Hi friends ! I know, I know. It's been forever. Life with toddlers can get so crazy busy. Am I coming back from the blog grave? I really don't know, but in honor of earth day I wanted to share one of my favorite new re-use ideas. I've been getting these amazing organic apples at Costco. 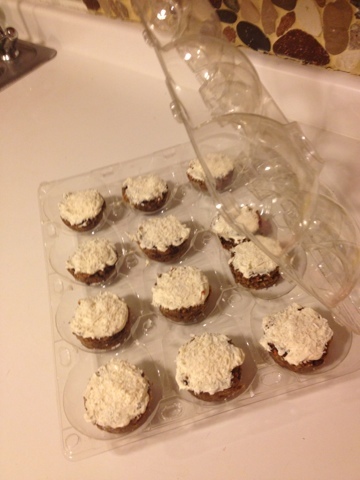 They come in these giant plastic containers with individual compartments that just so happen to make amazing cupcake holders (photo below). 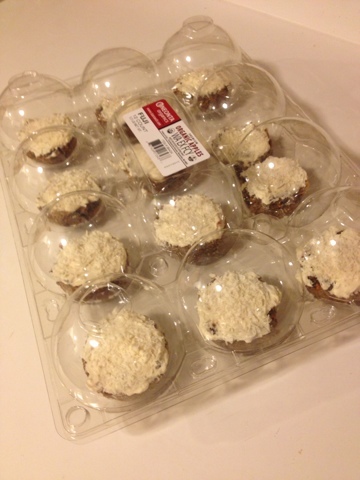 Now you can transport your cupcakes smash free without buying one of those overpriced special containers. Simply wash, dry, and reuse.